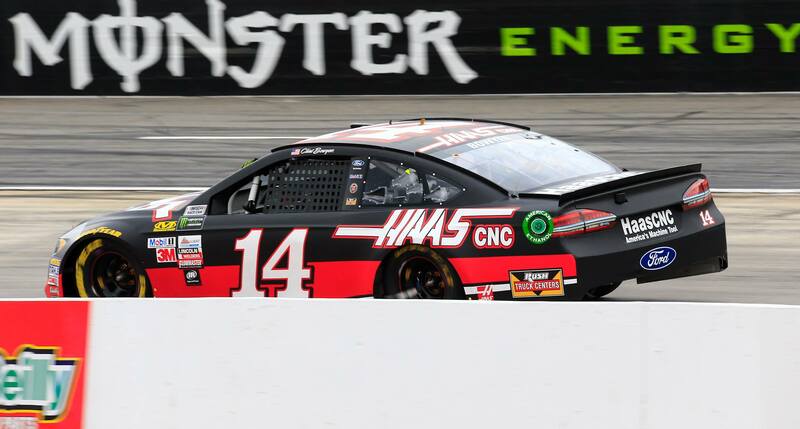 NASCAR competition officials announced penalties Wednesday from last weekend’s events at Martinsville Speedway, including an L1-level infraction for the Stewart-Haas Racing No. 14 team for driver Clint Bowyer. Race officials determined that the SHR No. 14 Ford team was in violation of Section 20.18.5.2 in the NASCAR Rule Book, a section that relates to the TV video package. If teams are not carrying an in-car camera for a given week, they must mount a simulated weight that makes up the difference. Reason: That TV package simulated weight did not meet NASCAR specifications. Penalty: As a result, No. 14 crew chief Mike Bugarewicz has been fined $25,000 and suspended from the next Monster Energy NASCAR Cup Series event. A Stewart-Haas Racing spokesperson said Wednesday that the organization will not appeal the one-race ban. Richard Boswell — a crew chief for the SHR No. 41 operation in the NASCAR XFINITY Series — will serve as interim crew chief in Sunday’s AAA Texas 500 at Texas Motor Speedway (2 p.m. ET, NBCSN, PRN, SiriusXM). The No. 14 team also was docked 10 points in both the series’ owner and driver standings. Additionally, Bowyer’s third-place finish at Martinsville is ruled encumbered. The fine was the fifth such penalty for Graves this season. His other single-lug fines occurred after Pocono in June, New Hampshire in July, Bristol in August and Charlotte in October. Graves became crew chief for the JGR No. 19 on March 29.